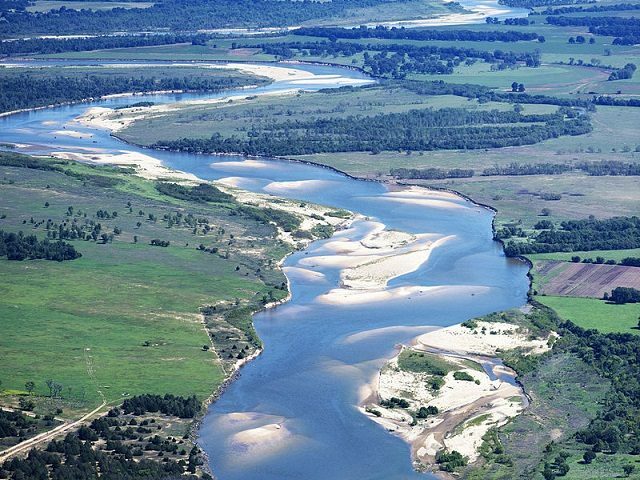 Breitbart Texas first brought national attention to this issue in April 2014 when the Bureau of Land Management (BLM) notified farmers of their intent to take over 90,000 acres of land along a 116-mile stretch of the Red River. The announcement of a settlement agreement in a lawsuit filed by the State of Texas, landowners, and other interested parties comes as welcome news to Texas farmers, many of whom have owned the disputed land for generations. The settlement agreement restores the Texas/Oklahoma boundary to the regulations established in the 1923 Supreme Court case of Oklahoma v. Texas, TPPF officials stated. In August 2015, Breitbart Texas reported a victory for one of the affected farmers, Tommy Henderson. Tommy Henderson met with BLM officials on the steps of the Clay County Courthouse in Henrietta, Texas, where he received a patent from the U.S. government bestowing rights to ownership and use of the property, according to an article by Lynn Walker in the Wichita Falls Times Record News.